I'm lucky that my work allows me to spend a good part of the year in Italy. Here, lifelong travel memories are like low-hanging fruit: They're yours to harvest. Even after several decades of coming here, Italy continues to pelt me with experiences and delight me with new memories and insights. 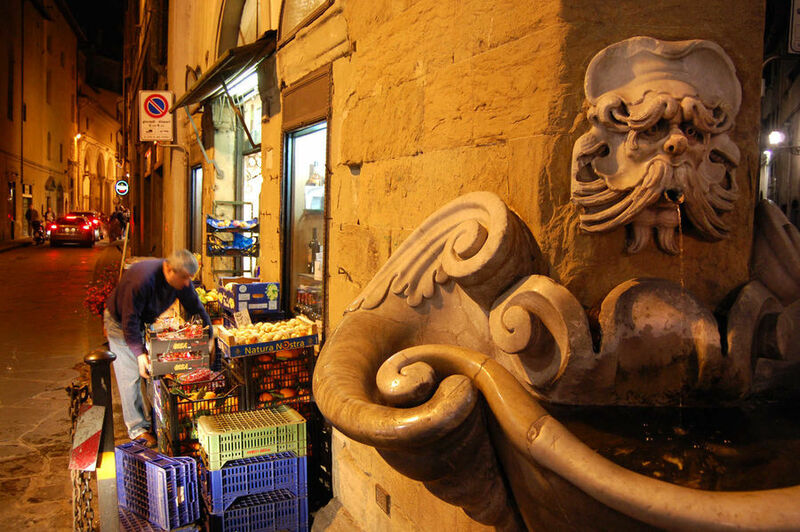 In Florence, the epicenter of the Renaissance, civic pride and the Florentine celebration of good living enliven today's city streets. The best place to get a sense of the rustic old town is in the Oltrarno, where artisans still ply the traditional trades of their forebears. As I strolled through this crusty neighborhood, an artisan drew me into his shop as if inviting me on a journey. Under a single dangling light bulb, he hammered gold leaf into a dingy halo, breathing life back into a faded saint that was originally crafted by a neighbor of his from five centuries ago. For dinner, I found a great restaurant, called Antica Trattoria da Tito, that helped me put my finger on why Italian restaurants in the US just can't compete with the eating experience here. There are several factors: The quality of ingredients is unbeatable, the local life-loving crowd creates an unmatchable ambience, the power of the owner's personality keeps the energy right, and the terroir of actually eating after the foreplay of a day in Tuscany is something you can't get anywhere but here. And nothing prevents you from being in the moment: When dining under medieval vaults, there's no cell-phone reception. Enjoying the now-pedestrianized, virtually traffic-free center of Florence, I ended the evening on what's considered the first square of the Renaissance, Piazza S.S. Annunziata. I've always loved picnicking here during the day with the riffraff, who remind me of the persistent gap — today as in Renaissance times — between those who appreciate fine wine and those who appreciate cheap wine. But there was something enchanting about being out here at midnight, when all the bums were tucked away out of sight, surrounded by the beautiful harmony of this square. In Lucca, an hour's drive from Florence, I was inspired by the simple joy of watching an old man bicycling with his granddaughter atop the wide, fortified wall that once protected this proud city from its enemies — and now seems to corral its Old World charm. Then, on rented bikes, one of the many tour groups I send to Italy each year frolicked by. Their enthusiasm was contagious. Squinting at the energy in their smiles, surrounded by dazzling sunshine, it struck me that the sun in Italy seems to have a special glint. It's as if it's telling visitors, "Embrace life!" At one of my favorite new trattorias in Tuscany, the chef cut open a cantaloupe-sized rock of aged pecorino cheese, sniffed it like a fine wine, and then passed it to me. The dank, rustic smell took my mind straight to an agriturismo barn I had visited, where random rays of sun cut between the weathered boards, filtered by floating dust from the hay, and bathed the sheep in a timeless Tuscan light. The next day, I returned to the restaurant, needing again the fragrant ritual splitting of the pecorino. Rome continued to enthrall and seduce me like never before. 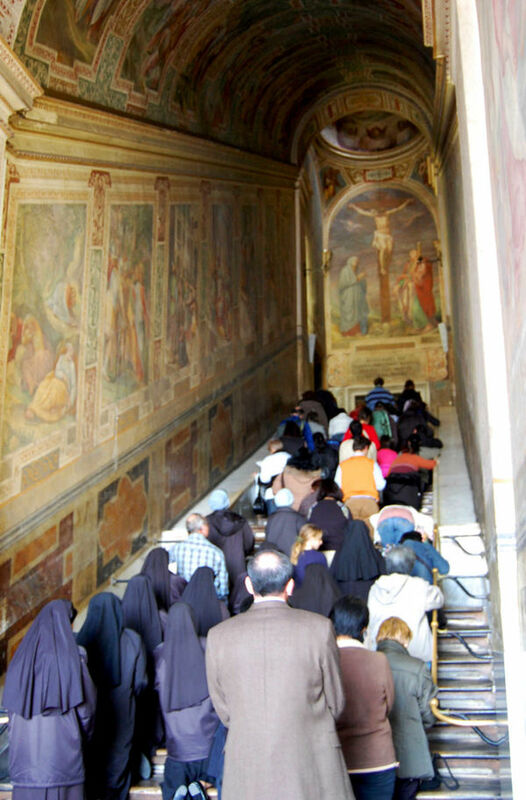 For centuries, pilgrims have been climbing the Scala Santa (Holy Stairs) on their knees. Brought to Rome from Jerusalem, these are purportedly the stairs from Pontius Pilate's palace that Christ climbed the day he was condemned. For decades, I've watched this ritual. But this time, a voice inside me said, "Do it!" Knees screaming, weathered faithful struggling up the staircase with me, fresco of a crucified Christ high above, I climbed the 28 wooden steps. With each polished step, I learned a bit about both the bone structure of my knees and the value of pain when praying. Venice's St. Mark's Square has always been littered with kitschy souvenir carts and jammed with tourists throughout the day. But this time I saw it in a different light. Up for an early morning film shoot, it was just me, my crew, a few businesspeople, and the occasional jogger. I marveled at how the history popped with the architecture and without the modern tourism. The Gothic was so lacy, and the Renaissance so capable. It looked like a pure, computer-generated Venetian cityscape — only it was real. 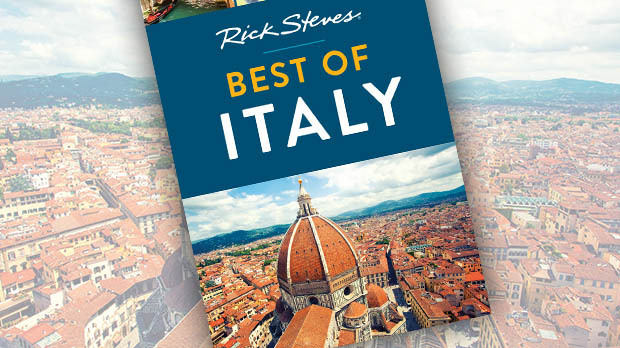 I always sign off from my public-television show by saying, "I'm Rick Steves. Until next time, keep on travelin'." But on this visit, on a gondola, surrounded by the watery majesty of Venice, I was moved to change it up a bit. Script covered and show in the can, I looked at the camera and said, "I'm Rick Steves. Life is good. Be thankful. Ciao."